Here is what brands forget often – Just like the forms of offline promotion, social media needs to happen in conjunction with the service that is being offered. It is not always about likes and retweets, it is also about making social media an extension of your product. 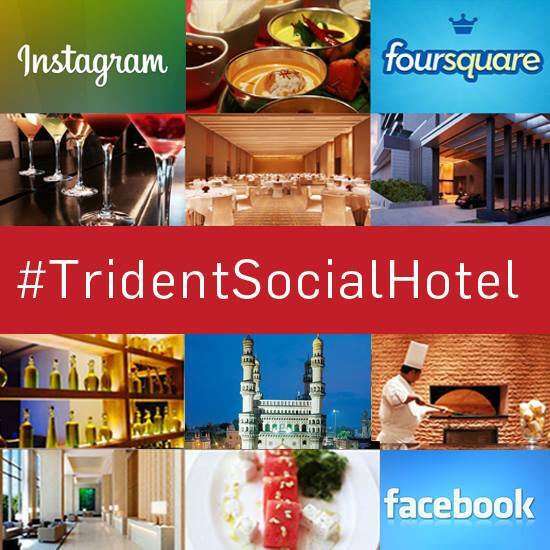 A recent campaign conducted by Trident Hotels in Hyderabad labelled as #TridentSocialHotel aimed to do just that. 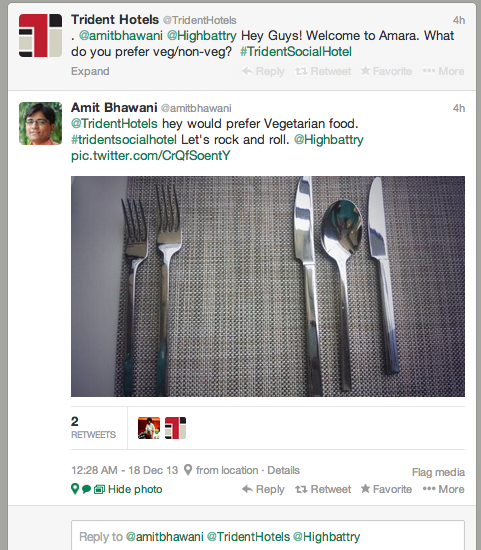 Ever seen a hotel take food orders on Twitter? If not, then get ready to check it out today. 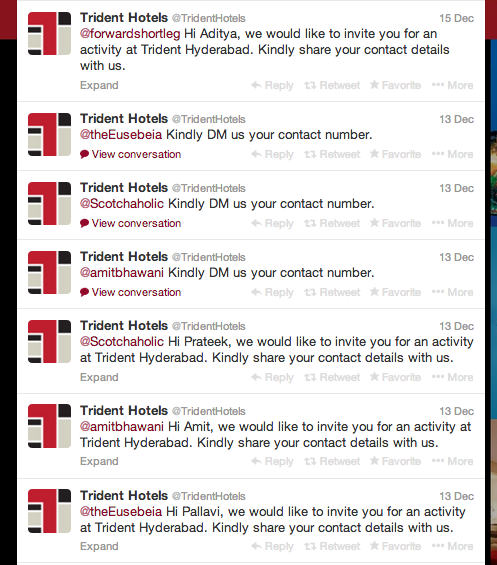 Spread over Facebook, Twitter and Instagram, #TridentSocialHotel was conducted on 17th and 18th of December. 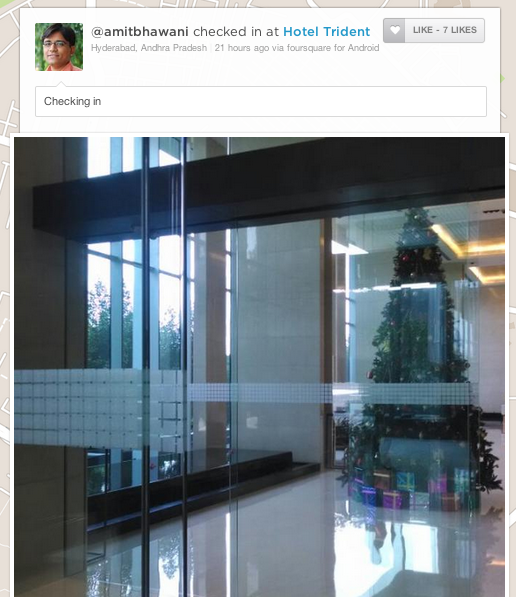 To kick start the engagement around the main campaign on 18th, the hotel conducted a contest consisting of 8 questions on the 17th of December. 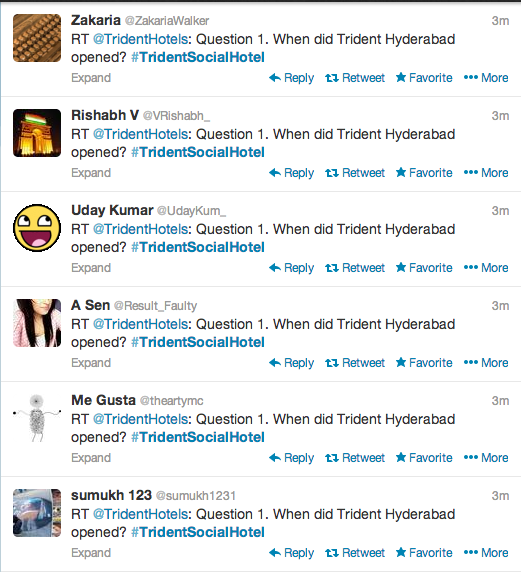 The twitter based exercise required people of Hyderabad to answer a range of questions about the hotel, retweet them and tweeting with all their might. Yes, the usual hashtag spamming exercise. In addition to the same, a cover photo on Facebook, a revamped Twitter background and the setting up of an Instagram account, involved other promotional exercises. 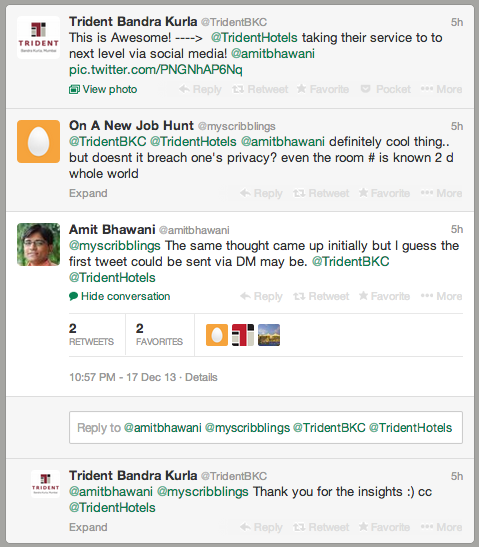 The brand also used Twitter to reach out to bloggers that could battle it out in the hotel the next day. The main day of the campaign i.e. 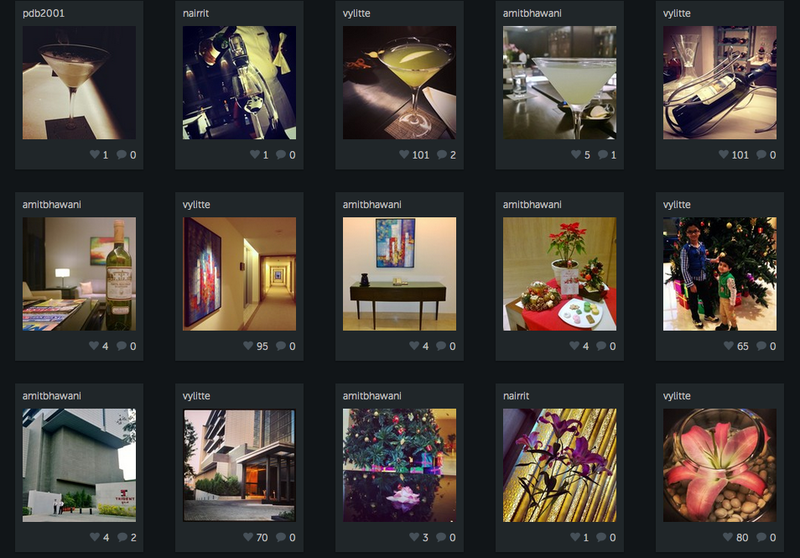 18th December meant a range of engaging activities on Twitter and Instagram. The brand had approached two bloggers via Twitter for the same previously. It begins with the bloggers entering the hotel and then checking in on Foursquare. 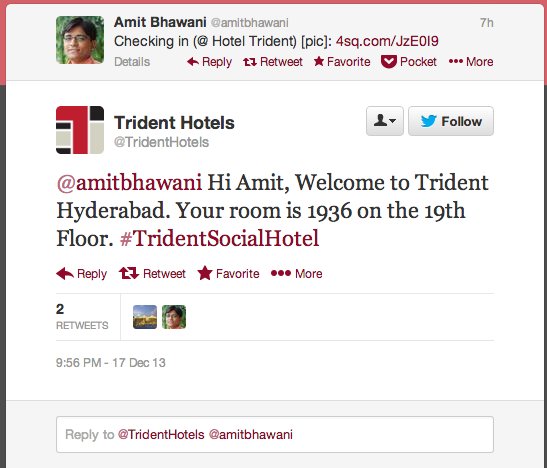 Moving on, the customer then receives their room number via Twitter. 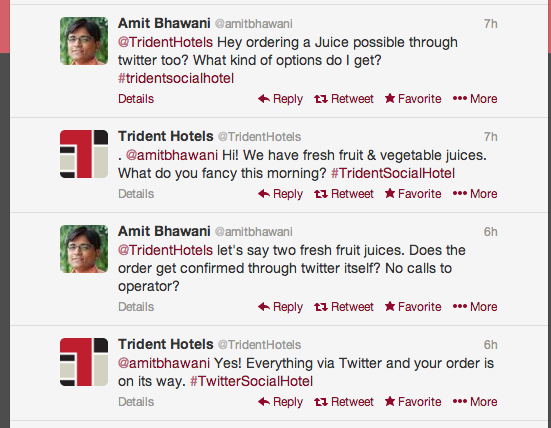 After checking in, room service happens on Twitter as well, just as @amitbhawani here orders a glass of juice. Ordering a meal? Twitter works again! From recommending restaurants to the actual dishes itself, a Twitter conversation between the brand and the customer work on to translate social media to services. After the capabilities of Twitter for providing services have been flaunted, the campaign heads to an Instagram challenge where the two contenders set out to complete a series of tasks on Instagram. These range from clicking a picture from a window to that of a wine bottle. It is an innovative concept and the very fact that it combines the real with the virtual is what needs to be applauded. The brand also created a lot of positive engagement with the exercise with people talking about the campaign. The various bits and pieces such as the small tasks or the cocktail tweeting were chosen well as they could create a conversation on social media. 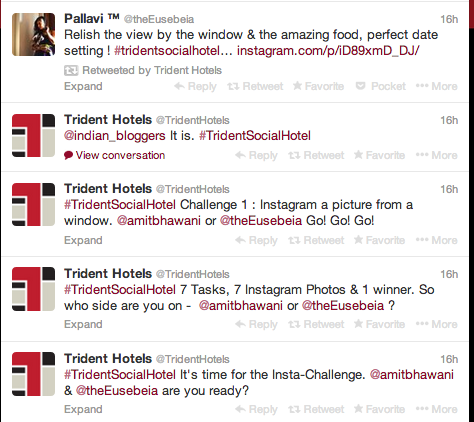 The brand also chose a unique hashtag, one that was reflective of both the brand and the campaign – #TridentSocialHotel. Although it is an offbeat concept that the hotel put into practise. Evidently, it deserved better planning. Simple a “1 day to go” post on Facebook is not enough to create engagement. Tell people what is to happen weeks in advance – create a buzz around the same. Biggest disappointment? An Instagram account that is a day old. You don’t have a community, but you wish to engage. Moreover, since you are combining what is happening in the hotel with what is happening on social media, maybe put up flexes in the hotel that say Instagram/Tweet with us. Though it was a two day campaign, but the question is whether this hints at a huge new possibility for the hospitality industry. We have seen luxury brands engaging in Tweetups with their staff and we have seen contests around the history of a hotel, but have we seen actual services being initiated through social media in India? Not until now. It is a brilliant concept. One that could perhaps have been executed a little better with better planning.